At James Hopkins Trust we are absolutely committed to making the most of short and precious lives. 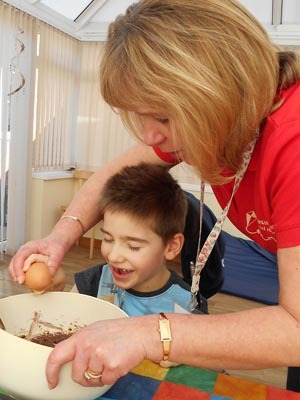 The care offered to each of our families is not simply about medical and nursing care for sick and disabled children, but about enriching the lives of children and their families. The Rooms in Kites Corner are often filled with joy and laughter. Of course, there is no mistaking the serious work we do, but the atmosphere here isn’t what you might imagine. We do everything we can to help make the most of every moment a very sick child or disabled child has with us and with their family. And that includes giving them one-to-one specialist care, having fun times through play, music, outings and crafts – simple pleasures that many of us take for granted. We are always looking for qualified children’s nurses to give high quality holistic family led care to babies and young children with complex needs in the family home or at our purpose built multi-sensory respite centre and gardens – Kites Corner. If you would like to join our team and enjoy making a difference to families throughout Gloucestershire we would love to hear from you. Please email our nursing team by clicking here. Download our Nurse application form here.